We did not yet know which was the better side, right or left; which road led to prison and which to the crematory. But for the moment I was happy; I was near my father. Our procession continued to move slowly forward. I pinched my face. Was I still alive? Was I awake? I could not believe it. How could it be possible for them to burn people, children, and for the world to keep silent? No, none of this could be true. It was a nightmare…. “…if you are reading this, you have survived abortion and infanticide, but you are just one accident away from admission to the twilight zone of brain damage that could lead doctors to finish what the accident failed to do…. “The Nazis tried eugenics. They were unsuccessful, but it took a world war to stop them. 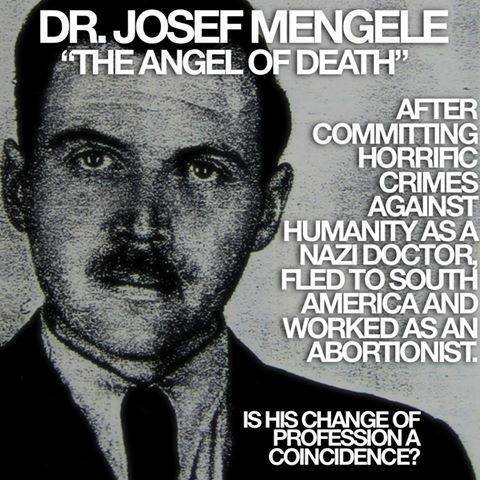 The American medical community, ably assisted by technology and some of those ever-present ‘clergy’ who can always be relied on to give their blessing to almost any horror, are proceeding down the eugenics slope with virtually no opposition. Note that Wiesel is pro-choice and attacked 180 for trying to exploit the Holocaust to score cheap political points. No “oops” at all. Wiesel is wrong on both counts. Still, his writing stands true on how the killing of innocents is unconscionable, heartless and inhuman. And politics have nothing to do with the saving of innocent lives. Innocent from our perspective. Right? Hmmm, no dead babies? And what aware, living conscience would allow such atrocity. The only statement that is false is yours. And they are still in rebellion. If man is the judge, of course. Thankfully, God is still on the throne!